The ITU Conference on ICT for Women in the Arab Region is a regional conference, and we invited a group of Internet Society women to join us there on this occasion. The Internet Society offered 1 (one) travel fellowship to each Chapter to attend this conference from the Middle East, North Africa and Western Asia. Ambassadors to the ITU will gain valuable insight and experience through their exposure to a range of stakeholders and discussions from numerous disciplines across the Internet ecosystem and ultimately benefit from their immersion in the two-day panel event. They will be able to broaden their networks and benefit fully from the information gained during their attendance. Aïcha Abbad,-Professeur à l’Université Mohammed 5 – Rabat – Maroc et Présidente de l’Association des Femmes d’Askejour pour le Développement et la Coopération, Tamégroute – Maroc. Aicha a participé aux activités de la 55ème rencontre d’ICANN 2016 à Marrakech et Suivie de formations dispensés par AFRALO (Africain Régional At-large Organisation) pour les ONG Africaines ; elle a également participé à une rencontre avec les lauréats de l’université de Cadi-Ayad de Marrakech de différentes disciplines afin de les sensibiliser à devenir un acteur dans la société numérique d’aujourd’hui. Depuis 2016, elle est membre d’AFRALO et membre du groupe « du renforcement des Capacités » au sein d’AFRALO. Aicha a participé à l’Assemblé générale d’ICANN à Johannesburg, en 2017. 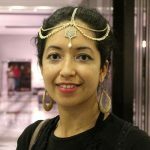 Elle est Membre du Bureau de ISOC – Chapitre Maroc depuis 2014, et est devenu membre du « Projet Kasbuy » en 2018, un projet à l’objectif d’aider au développement des coopératives féminines via le E-commerce. 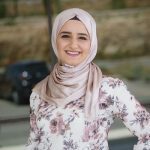 Alaa is a tech-entrepreneur, a mentor, a certified trainer and a software engineer, she is a professional woman of infinite passion for success. 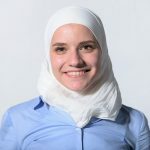 Alaa’ decided to take the entrepreneurial path of building her own business with a vision to create and develop innovative and high-quality web and mobile solutions, where she showed outstanding performance and passion towards mobile applications development. An associate professor at the Department of Computer Science, Faculty of Computing and Information Technology of King Abdulaziz University (KAU), Jeddah, KSA, that she joined in 2009 as an assistant professor. 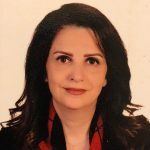 She received her BSc and the MSc degrees in Computer Engineering from the University of Balamand, Lebanon, in 1997 and 1999, respectively. She received her Master’s degree (DEA) in Telecommunications Networks from Saint Joseph University and the Faculty of Engineering of the Lebanese University, Lebanon, in 2001 and a Ph.D. degree in Telecommunications Networks from National Superior School of Telecommunications (ENST), France, in 2006. Dr. Akkari is specialized in Next-generation heterogeneous networks, 5G, IoT and wireless sensor networks. Her research led to productive and international collaborations with researchers and universities in the US (Georgia Tech), Greece (Institute of Informatics and Telecommunications), and Lebanon (Lebanese University). She has many publications in international journals and conferences. She is a senior member of IEEE, member of Lebanese Order of Engineers and Editorial board member of many international journals. She has received many awards (e.g., KAU Rector’s Award for E-learning 2018, Distinguished Research Study 2012 and 2017); in addition to obtaining many research grants. Haya is a business student at Damascus University. She is passionate about supporting startups and entrepreneurial communities. She is currently working as a program coordinator at Pilot Labs which is the first accelerator in Syria that aims to support Syrian tech startups. 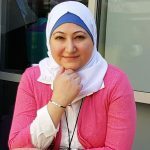 She previously worked as a bookkeeper at Jusoor and has been involved with several local and regional initiatives, NGOs and missions that help entrepreneurs and innovation, such as Techstars, Techfugees, Startup Syria, Womanity Foundation, Erase All Kittens, the Wellbeing Project and more. Haya is the curator of Startup Digest Syria and co-organizer of Startup Weekend Beirut 2018. 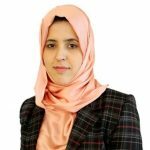 Amal Al-Saqqaf is an active member of ISOC-Yemen chapter, an alumna of ICANN fellowship program, a representative of ISOC-Yemen as an At-Large Structure within APRALO, and a member of NCUC, ICANN. She is an alumna of Techwomen program in Silicon Valley and was involved in activities related to empowering women in technology in Yemen. She is a co-founder of a youth initiative ‘Shabab++,’ and a board member of Sheba Youth organization in Yemen. 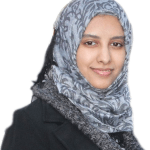 Amal is currently a student of MSc Computer Engineering in GJU in Jordan, and holds a BSc in Software Engineering from Taiz University, Yemen. 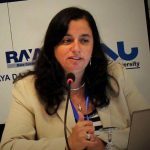 Executive Director Telecom Services and Planning, NTRA Egypt, has 25 years work experience with the Gov of Egypt, in Internet development and related public policies. 2011 she led the drafting of eMisr National Broadband Plan. 2004 joined drafting of the Telecom Master Plan. 1992 established Egypt’s first Internet connection. 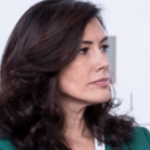 She represents the Gov of Egypt at the IGF MAG, is a board member of Internet Society Egypt, a founding member of AfriNIC and co-founder of the Arab IGF. Ms. Arida holds B.Sc. degree in Electronics and Communication, Faculty of Engineering Cairo University. 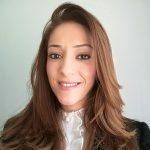 Houda has a Ph.D. in telecommunication, senior researcher at Innov’COM Laboratory of Sup’COM Tunisia. Her research field includes wireless communication, signal processing, vehicular communication, green communication. 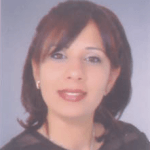 Houda is a member of ISOC Tunisia and reviewer in many IEEE conferences. Amira Gharbi is the National Coordinator of ABWEB Academy. She obtained a Ph.D. in Electrical Engineering from the “École Nationale d’Ingénieurs de Tunis (Tunisia).” She also received a Ph.D. degree in Automatic Control, Informatics, Signal and Image Processing, from the “École Centrale de Lille (France) ” and a master’s degree in Automatic and Signal Processing. Sidra is a Technology, Marketing and Research Enthusiast with diverse 12 years of experience in Technology and Development Sector related to Research, Communications, Digital Marketing and Innovation particularly Governance and Commercialization. 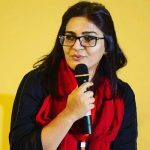 She has been part of the Entrepreneurial ecosystem for over 8 years now, currently working with Code for Pakistan and volunteering for OPEN Islamabad and Internet Society, Islamabad Chapter as their Vice President where she organizes workshops, Special Interest Group around startup problems, networking events, motivational talks and forums to address startup and community issues. She is also the first and only female Ambassador of AngelHack in Pakistan. She is a blogger, internet marketer, motivational speaker and an active person with a strong passion to give back to community. A Certified Electronic Engineer, plus Master degree in Management Information Systems / MIS / with 22 years’ experience at a high managerial level in Sales, Project Management, Strategic Planning, Business Development and Operations in the domain of IT and Telecom. “SABA Initiative”; The Syria Alliance of Businesswomen in Action that aims to support the economic prospects of women in business from Syria and beyond. Shabana Mansoory holds a BA in Computer Science and co-founded TechWomen Afghanistan in 2012. She has experience in ICT, Management and business development. 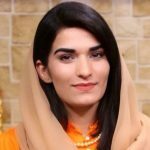 She is the current Board Member in Internet Society, Afghanistan Chapter. She also worked as CIO with Ministry of Communications and Information Technology. Her work mainly focuses on the cultural, social and economic change of women through nurturing entrepreneurship and the use of technology, internet, and Innovations. Hadeel has taught different courses for children in the basics of code, to make children fall in love with coding. Her goal is to use her knowledge in Computer Science to make such a change in her society. Since Nov 2013, Heba Sayed has joined Vodafone Egypt as a Sr. Manager of Carrier Services, then appointed as Head of Carrier Services & Global Account Management. By the end of 2009, she was selected as a General Manager for International Commercials Affairs at Telecom Egypt. 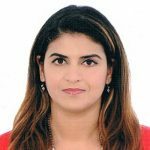 Since mid-2006, Heba has been promoted as Head of Business & Partnerships Operations Management at TE Data. 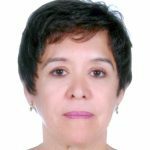 During 2005, she was Business Development Regional Services Manager where she has been the SPOC for TEData’s global agreements with Verizon Business, AT&T, Telecom Italia Sparkle, PCCW, TATA, etc. She joined TE Data in 2002, as Senior Business Development Project Manager. Heba is the Vice Chairman of Internet Misr Association – Egypt Chapter, an active member in Internet Society and EITESAL she is a consultant to regional governments addressing organizational transformation, executive development, and ICT management Strategy. Heba is a Ph.D. researcher in the School of Science and Technology at Middlesex University, United Kingdom. She holds a Master in Business Information Technology from Middlesex University in 2003 and a BA in Business Administration from The American University in Cairo (AUC) in 1998. She is a certified member at International Advertising Association (IAA), accreditation of doctoral student development diploma in LTA, PMP diploma holder. Sajia Yarmal is the founder of Tanaab laundry Co. Board member of ISOC Afghanistan Chapter and one of the critical organizing committee member of IGF Afghanistan. Sajia has more than eight years of professional experience with national and international organizations; including media, social societies, and NGOs such as the director of like-minded youth’s Org, Program coordinator in (ROAWV), Senior Producer in ATV, Program announcer in RTA, and reporter in the voice of people FM.